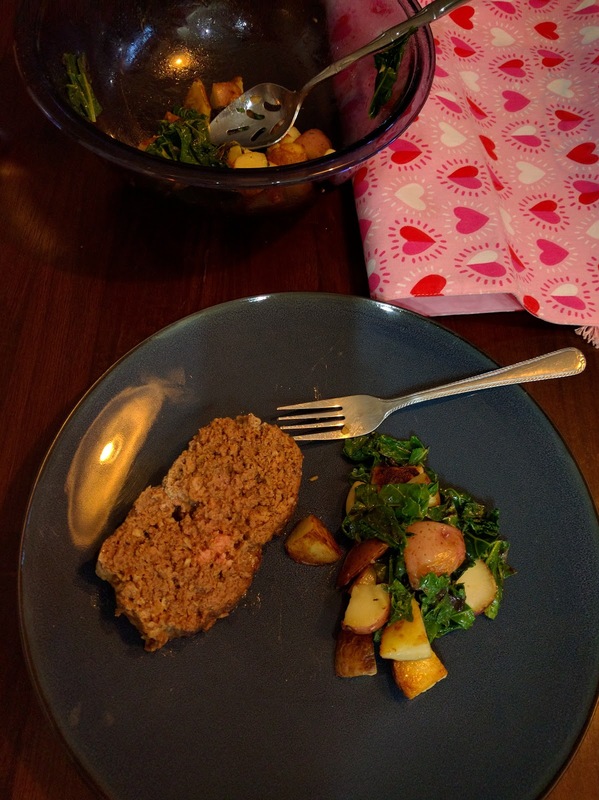 Our CSA share last week was all about the greens: Oranges, Red Potatoes, Quelites (we got two bunches, since I traded our pecans for a second one), Rapini, Chinese Cabbage, Braising Mix, and Salad Mix. 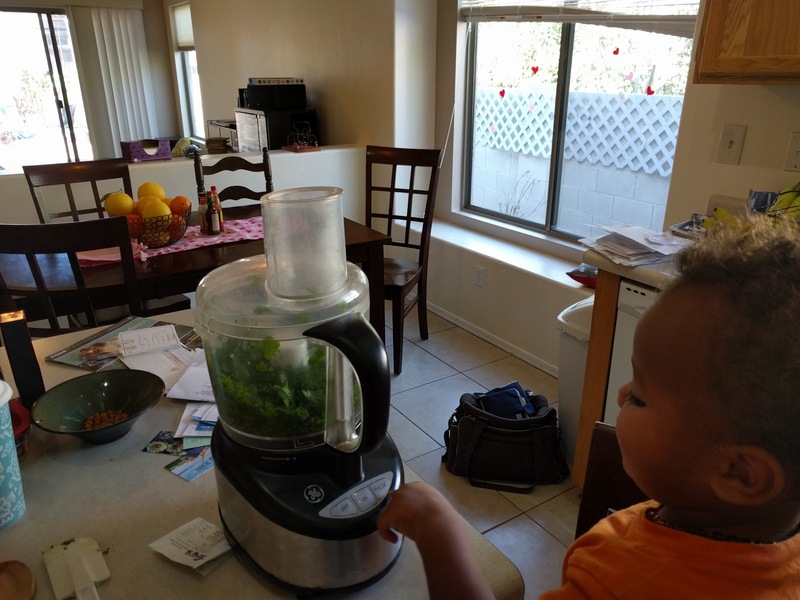 This one took a lot of brainstorming because although my kids are pretty good eaters, asking them to eat greens straight every single night would have ended in fights. Two bunches of quelites made just under a cup of chopped leaves. I added them a little at a time to the egg well before mixing them into flour. 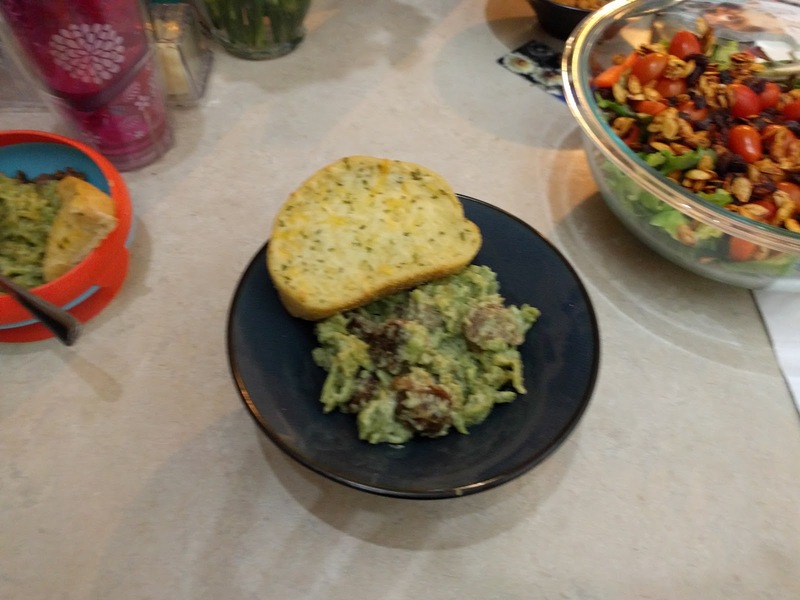 I served it with a home-made alfredo sauce and store-bought meat balls. 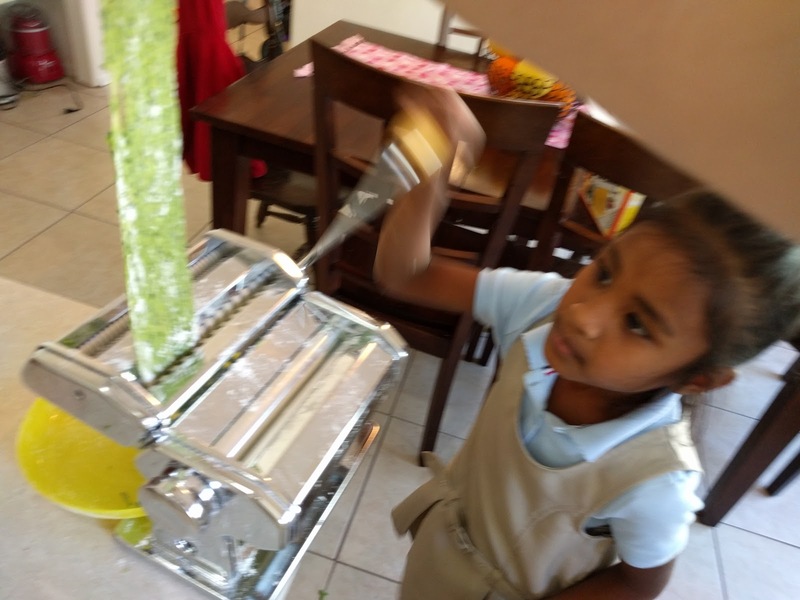 The quelites added a little bit of a "green taste" to the pasta but not enough that it was overwhelming. The kids fussed a little bit until they tried it and then ate it up just like regular spaghetti. 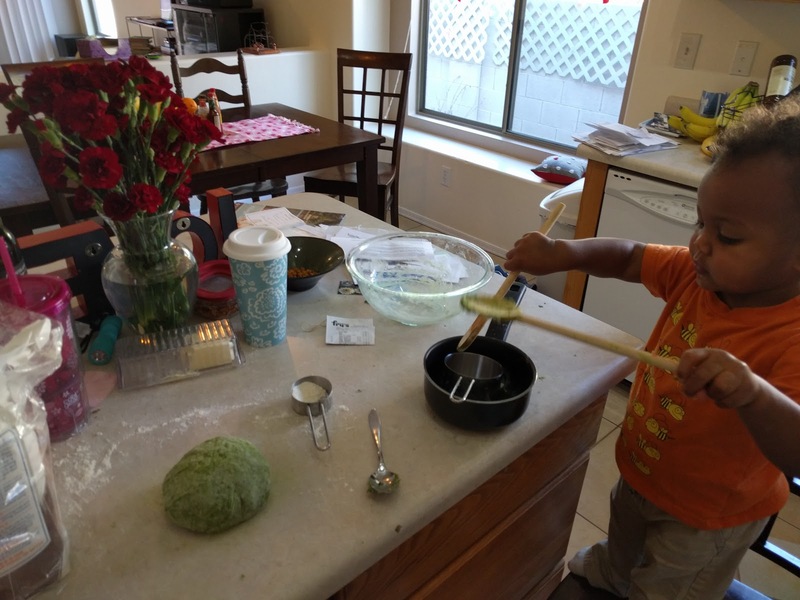 The arugula pesto that I made last week got used on a chicken and onion pizza this week when we had a family movie night- yummy! 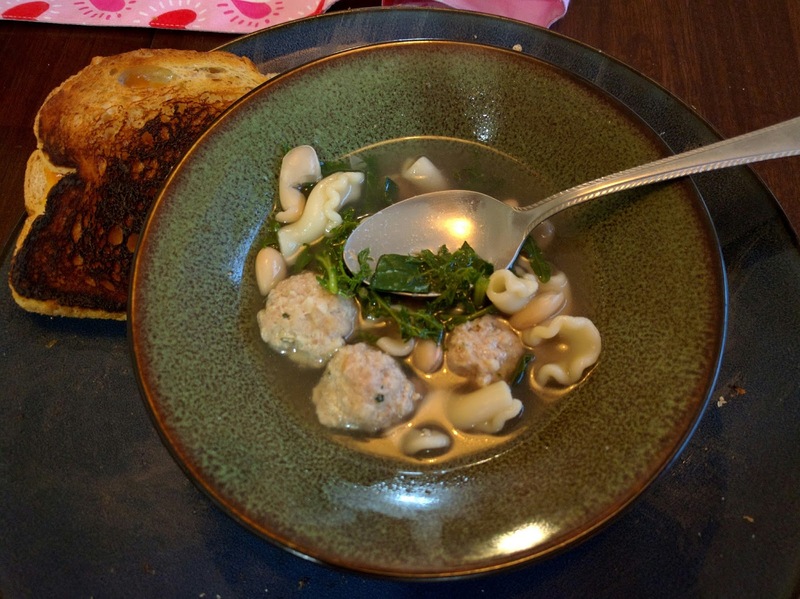 Sky loves Italian wedding soup (at least when it comes out of a can) so I thought I would try making my own to use up the braising mix. I made my own meatballs and added canelini beans for a little more texture. The braising mix added a really nice bite to the soup and all the kids at least tried the greens and loved the rest of the soup. 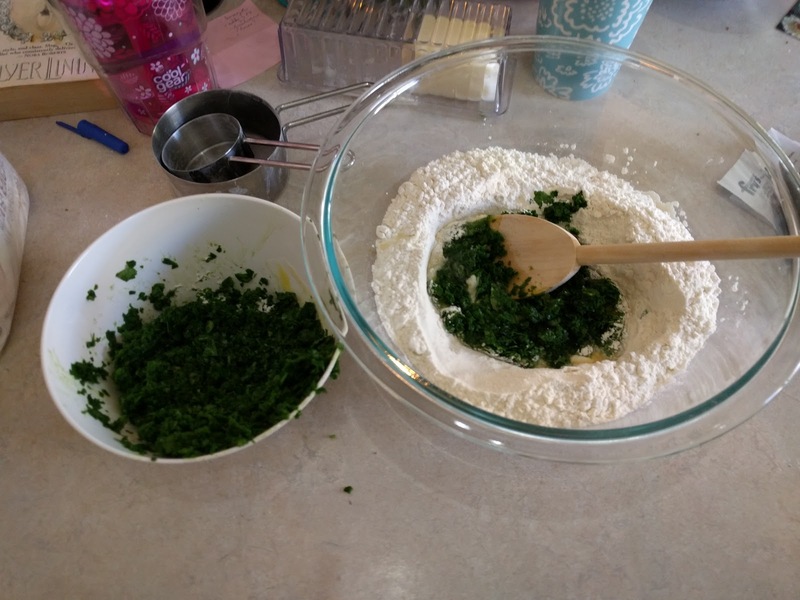 I happened upon a recipe for rapini and roasted potatoes (two for one!) while I was researching how to use the rapini and decided to make it based on how great the picture looked (is that shallow? Seriously, click over- it looks so delicious!). 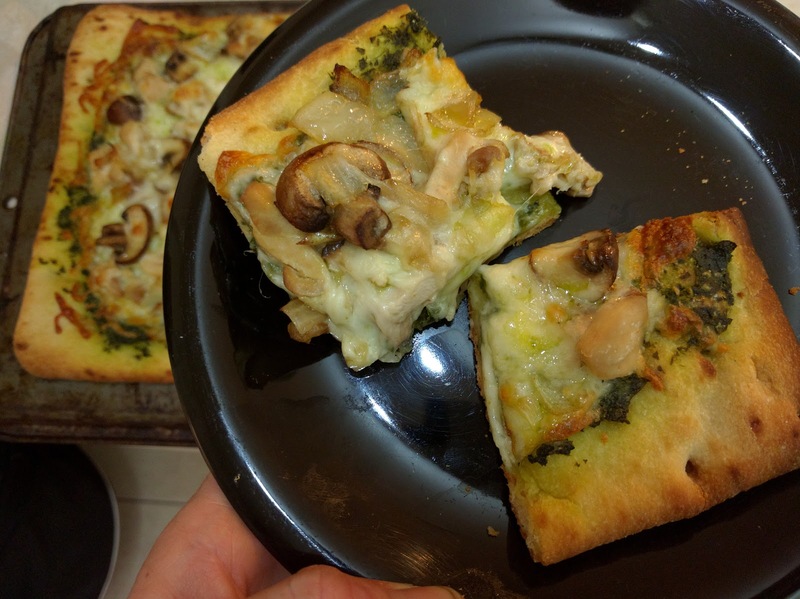 It was an easy and straight-forward recipe and tasted great. I served it with meatloaf and both D and I were reaching for the bowl of greens for seconds. 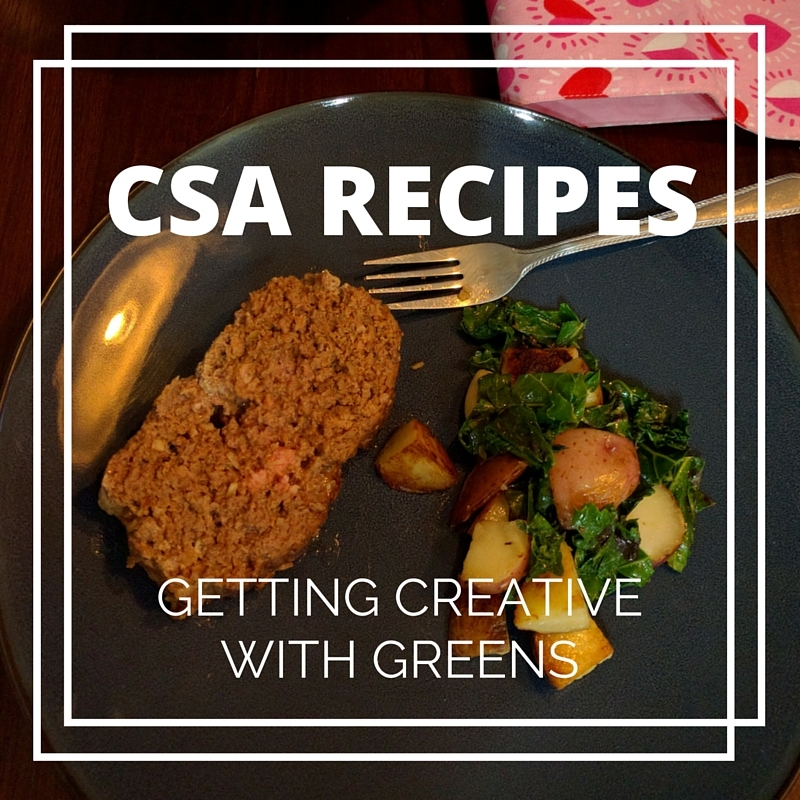 Do you have a favorite greens recipe? We missed having you for the family get together but I think D maybe more so! I'd probably have to resort to duct tape to keep track of everyone.